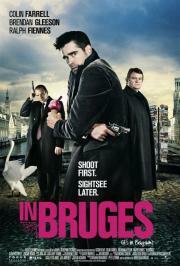 Wryly funny yarn of two Irish hitmen hiding out among the dreaming spires and canals of Bruges awaiting their next job. McDonagh's first film pairs comedy and tragedy like no other, with the superb script tackling its themes of guilt, morality and judgment in astonishingly deep and humorous ways. Farrell and Gleeson give the most nuanced performances of their careers as Ray and Ken, two Irish hitmen irreparably haunted by their past sins. Bruges is a location seemingly frozen in time and drowning in Catholic imagery, making it the perfect other-worldly setting for a weekend sightseeing trip through purgatory.